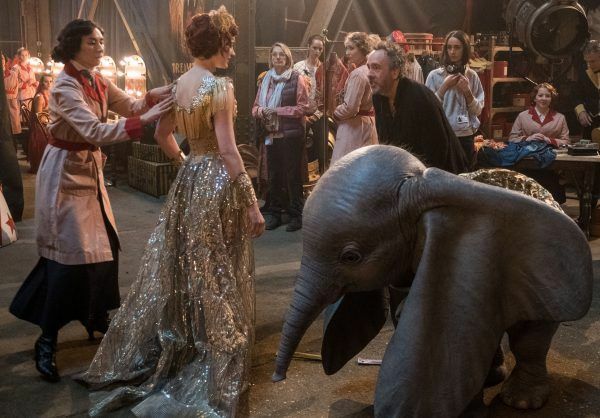 From visionary director Tim Burton, the live-action telling of the beloved classic Dumbo celebrates differences while also exploring the importance of family, both by blood and by circumstance. 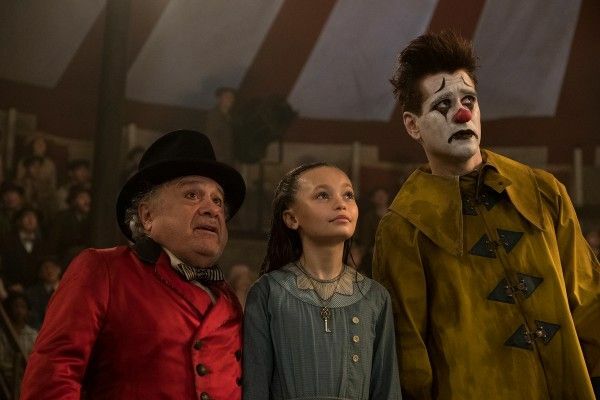 When circus owner Max Medici (Danny DeVito) appoints former horse-riding star Holt Farrier (Colin Farrell) and his children (Nico Parker, Finley Hobbins) as the caretakers for the newborn elephant with the oversized ears, he has no idea that what initially makes him a laughingstock to audiences will also change their lives forever. 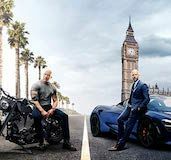 While at the film’s Los Angeles press day, Academy Award-winning costume designer Colleen Atwood spoke 1-on-1 to Collider for this interview about why her profession is still exciting after all of these years, what most intimidated her about working on Dumbo, what it takes to get so many hundreds of people dressed in one day, what would surprise people about being a costume designer, why she feels lucky to work with a filmmaker like Tim Burton, and how she approached the design for Eva Green’s aerialist character. She also talked about her work on the upcoming live-action Lady and the Tramp and the approach for the costume design, as well as being a part of the Disney legacy, in helping bring some of their classic characters to life. 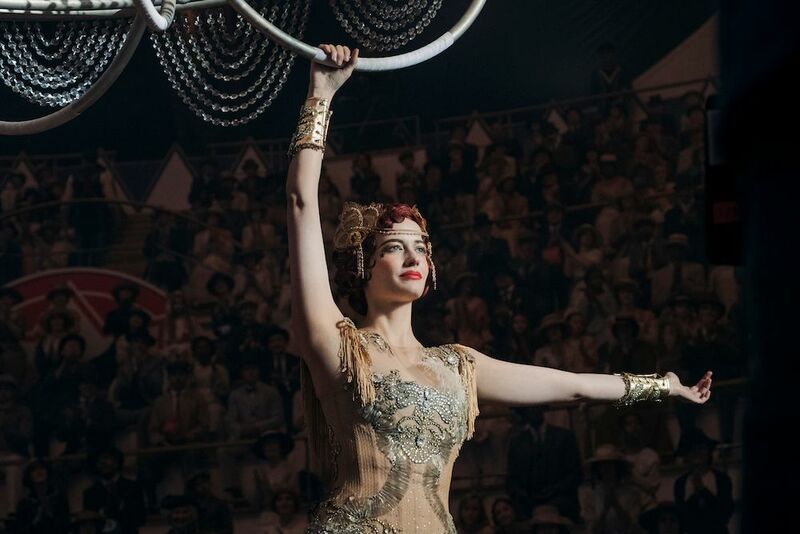 Collider: The costumes in this film are just gorgeous, and I love the whole circus aesthetic. COLLEEN ATWOOD: Oh, cool. Thank you! You’ve been doing costume design for a long now. Does it ever get old hat, or is it still exciting, every time? ATWOOD: It’s exciting, every time. The one thing that’s great about this business and this job is that it’s always changing and the technology is changing. And I meet new people, all the time, that have different skills. For me, it’s about that and the work, and I really love it. When it came to Dumbo, and you realized exactly what you’d have to do, to pull off this massive project, what were you most excited about with the costumes, and what were you most nervous about? ATWOOD: Well, the scale of it was intimidating because it was really big, and it was all real stuff. We manufactured a lot of clothes for this. We manufactured all of the principal stuff, all of the circus stuff, and a lot of crowd stuff that I couldn’t get because it wasn’t out there in the world, especially the children’s stuff, women’s dresses, and hats and things. So, it was just big, with a lot of everything. Luckily, I’ve worked on big scale productions before, so I have a sense of not panicking about that, but having a plan to start with, is really important. What are those days like, when you have so many hundreds of people that you’re costuming that just getting them dressed seems insane? ATWOOD: Because it’s period, you have hair, make-up and wardrobe, and it’s a corset period, so you have to allow time for that, for the women. The guys are even worse because they’re not used to buttoning a shirt and a waistcoat. It’s like, “Oh, my god, how long does it take this guy to get dressed?” On those days, we have 4:30 am calls. We bring people in, in herds of 100 or 150 at a time, and some of them go to hair while some of them go to wardrobe, and we just churn it through the system. Everybody has been pre-fit and all of the clothes have been altered to fit them. And there are shoes, stockings, hats, gloves, and jewelry. Everything is all together, in a room that’s organized, so that when they arrive, the dressers just start putting them in the basics and dressing them, and then they go off. By 8:00 am, we’ve got everybody dressed. At the same time, in a separate room, I had the performers, who were more used to live performance dressing, so their calls would be a little later. There were maybe 100 or 150 of them, so it was a little bit faster, and they were better at dressing themselves because they’re professionals. And then, after we’d have everybody dressed, I’ve gotta get the principals ready. So, I’m all over the place, but I’m there. I do a line-up so that I can look at everybody, as they’re taking them to set. I wish somebody had a great shot of it ‘cause it was so many people lined up, like the length of a building, and my assistant and myself, and two or three other people, would go down that line-up, and make sure everybody had all of the parts of their outfits, and that no one had gone to the bathroom and left their hat. Everything has to be in place. And then, they go to the set, and you pray they don’t sit in something or lose something, in the process. But, it works pretty well. It’s a system, but we’ve got it down. You’re certainly one of the most celebrated costume designers, of all time, and are truly one of the greatest costume designers for film. ATWOOD: Oh, that’s nice of you. Thanks. But because you’re so good at your job, you make it seem easy. 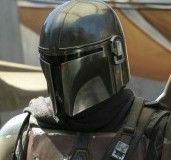 What do you think would most surprise or shock people, as far as what it takes to be a costume designer and pull off what you do, especially for a movie like this? ATWOOD: People don’t realize that you’re not just glamming around, selecting things, and they just magically happen. Sometimes you have to be in the room, figuring out how that’s gonna happen and how it’s gonna work. If something breaks, you have to figure out how you’re gonna fix it. You have a practical sense of it all. I go to work at 5:00 in the morning and I get home at 7:00 at night, on a good, short day. What happens to you, in this kind of work, is that when you work from 5:00 in the morning and you’re done at 5:00 or 7:00 at night, you feel like you’ve forgotten to do something ‘cause there’s so much to do, every day. I go to the set in the morning and get everything started, and then I go back to the workroom and oversee the making, the aging, the dyeing, and all of those processes. Then, I go back to the set, at the end of the day, and make sure everything is ready for the next day. You get in a swirl of it, and if there’s a problem, you’re the one that has to solve it. You have a lot of people working under you, so you have to be able to manage people, in a way that’s wise and kind and inspirational for people, so that they enjoy doing what they do. It’s really important that they love it, too. You have to share it. It’s not just yours. That, as a designer, is a really important lesson. A lot of people are so insecure that they just can’t let go and say, “Wow, you did a great job on that. That wasn’t my idea, that was your idea, and that’s really a great idea.” Don’t be afraid to embrace it. One of the things that I love about Tim Burton is the love of creativity that he has, and how he encourages that in others. What’s it been like to have that collaborative relationship with him, over the years, on the films that you’ve worked with him on? ATWOOD: Because he’s so enthusiastic about it and his energy is so positive, on that side of the process, I feel really lucky when Tim comes into the room ‘cause he loves coming in and walking around and looking at the fabrics. He doesn’t care what it’s for, he just likes it. It’s a different kind of collaboration than a lot of people. The costumes that Eva Green wears in this movie are gorgeous. I would have loved to have run off with any one of them, or all of them, because they’re just so beautiful. Was there one that was most complicated to do, or were they all complicated, in their own ways and because of the movement in them? ATWOOD: The performance costumes were formulaic. We had a circus performer that was our guinea pig, that doubled for Eva, as well. I would try all of the mechanical parts of the costume on her first, to make sure that they worked on a heavy-duty performance level, and they would work for Eva, as well. The labor on those costumes is massive because it’s all handmade layers of fabrics sewn together, and it’s stretch material combined with non-stretch. The cutter that I have, I’ve had for 20 years, and we have our short-hand. She knows what I want, she knows how to do it, and she knows how to make it fit, which is key. Her background is dance and opera. Once you’ve had performance costumes on your plate, you know where they need to stretch and not stretch, and stuff like that. Did the fact that Eva Green has two different hair colors in the movie change or affect how you designed, or the colors that you used? ATWOOD: Well, it was more that she had personas. She had her public persona, and then she had her personal persona. It didn’t affect the colors I chose, but for the performance costumes with a hard spotlight, I chose stuff that would be very lightable, in a high, dark environment. I chose really strong colors for that, with the silver and gold, and then again the red. Then, for her everyday clothing and rehearsal costumes with the elephant, it was really based on old dance costumes. The corset that I made was based on an old one. I found a picture reference of a rehearsal corset for an aerialist from an earlier period, and I changed the shape to make it our period, but it was such a great find because those things wear out and they’re not in a museum. When I saw that, I got so excited ‘cause I thought, “Oh, my god, this is so cool! I have to make this for her.” The way the leather went around it made it an interesting contrast to the glitz of the performance costume, to have this armor like thing because, the first time she sees Dumbo, she’s no fool. She’s like, “You’re not gonna climb on an elephant without a little bit of protection.” You feel like she’s really an aerial artist, and not just somebody’s showpiece. She came into it from a different place, and she was playing the game. You also did the costumes for Lady and the Tramp. What was that like? What sort of feel and look were you going for, on that film? 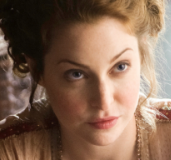 ATWOOD: The period that Lady and the Tramp is set in is an Edwardian style period. I don’t know how much of the costumes will be in Lady and the Tramp. You make all this stuff, and then it’s the dogs talking around the skirts and shoes. There’s a focus on shoes and things like that, that are really important in the story. Because I don’t know how that’s gonna come together, I have no idea what it’s gonna look like. The town and all of the settings are really beautiful. 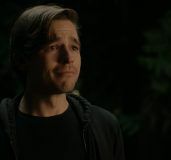 (Production Designer) John Myhre did a great job. They shot in Savannah, so it has an Americana charm, but gentile, in Tramp’s world. I think it’ll be cool, but I have no idea what they really got in camera and what they’ll use. They used real dogs. At first, we were skeptical and thought that there would be a lot of plate shots, but the dogs did a really great job. They got a lot of good stuff with real dogs, so I think it’ll be pretty cool. Did you have a history with these animated films, like Dumbo and Lady and the Trump, that you’re now bringing to life in live-action form? ATWOOD: I’m that generation. I certainly saw them all growing up. The first Disney one that I remember is Snow White, and the music in that. I don’t remember the first time I saw Dumbo. I just have this peripheral thing. I probably saw it 10 times, and I remember the music and songs. If you grew up, at a certain time in America, everyone was exposed to them, in different ways. What’s it like to be a part of that Disney legacy and bring these classic characters to life, through costumes? ATWOOD: Luckily, I’ve done it mainly through the eyes of Tim Burton, which has made it a really special experience for me. He embraces the art of it, and he takes the material and modernizes it without losing what makes it magical. He’s got a pure heart. The first couple of meetings that I had with Tim about Dumbo, I suddenly realized that Tim was seeing the world through Dumbo’s eyes. 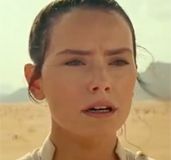 That really helps me, as a designer, to know what’s gonna matter because everything is gonna be shot in a certain way, which is totally how the movie turned out. 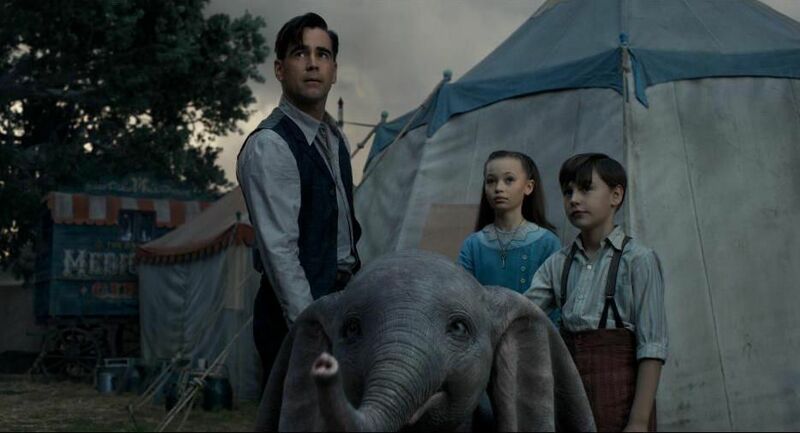 Dumbo opens in theaters on March 29th.